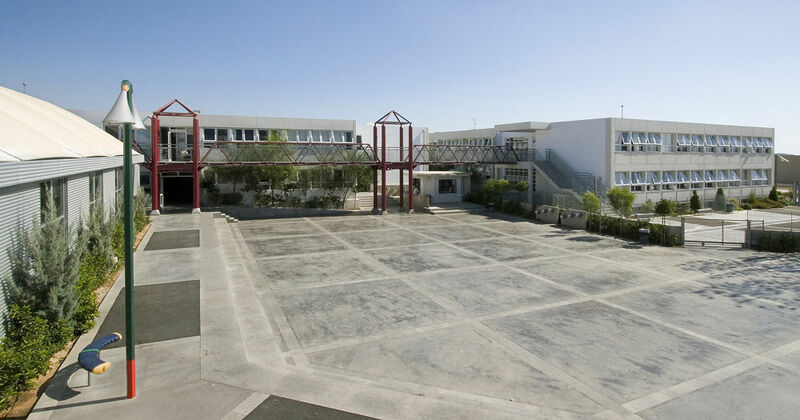 The building for the two levels of High School is an extension to the existing school building. 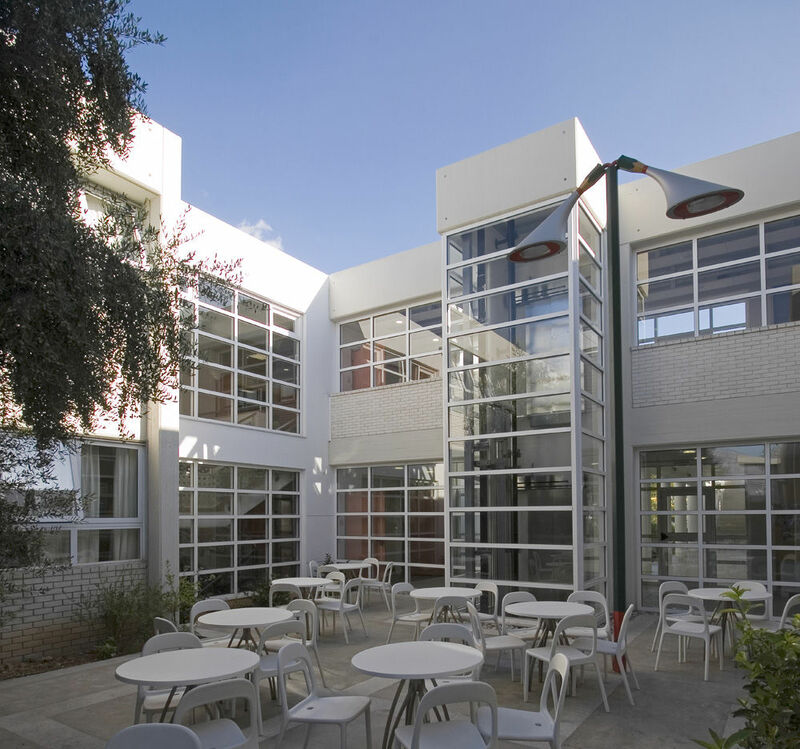 A ground-floor space over the north side of the building houses the school administration and teachers offices. The building is connected to the existing entity via open or closed footbridges. The nature of the ground has necessitated a lineal layout of the new structure. 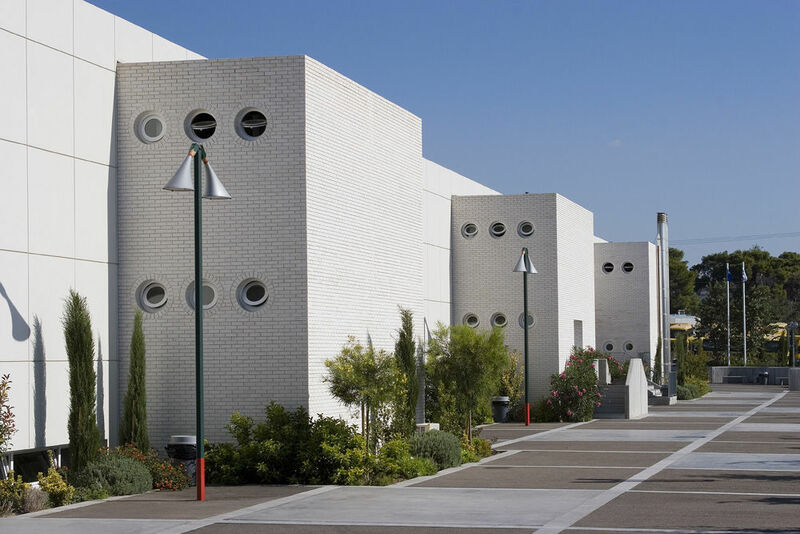 The layout of the classrooms and other spaces obeys to a succession of closed, semi-open and open areas, thus averting the creation of a monotonous, lineal and monolithic structure. 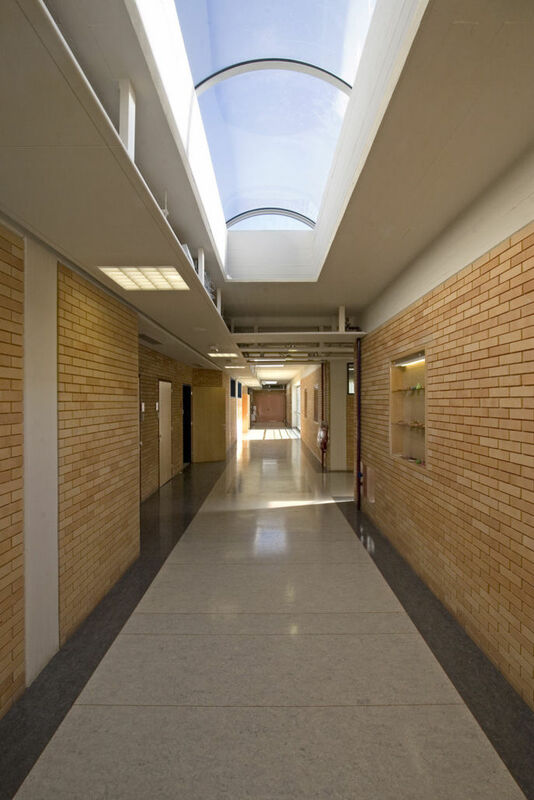 In spite of their excessive length, the internal corridors of the building are broken by semi-open areas. Particularly over the ground-floor, in which they lead to small internal courtyards, the said corridors cut out the feel of dullness. Classrooms are laid out over the two storeys and the basement, which comprises auxiliary classrooms. 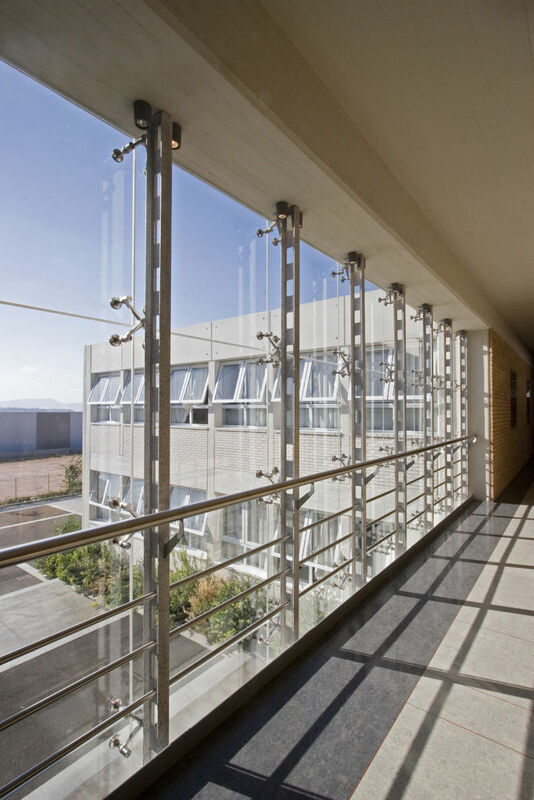 The building façades are based on the architectural features of the existing structure, giving the impression of a unified building complex. The north extension of the new building is a ground-floor structure housing the hall of multiple uses. 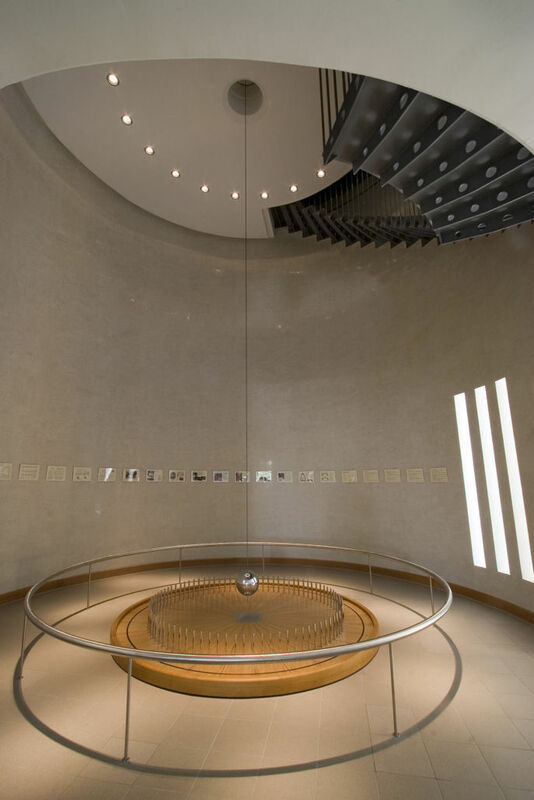 In the same section, a special cylindrical structure is provided for the suspension of Foucault’s pendulum to serve the teaching process. The school observatory is to be established on the upper part of the said cylindrical structure. The surrounding area of the school comprises playgrounds, sports grounds, basketball field, track with low tiers, gym, swimming pool. 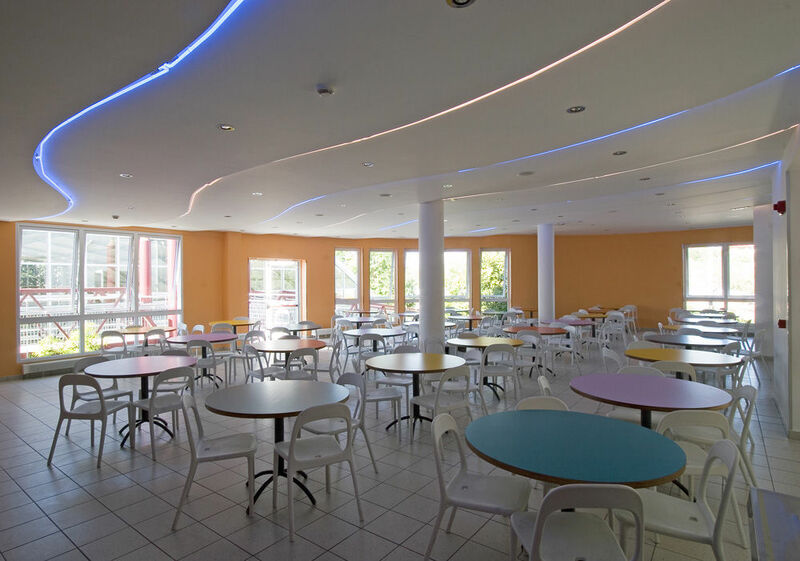 The existing building is fittingly remodeled and its construction is supplemented to meet the requirements of the Primary School it is intended to house within the overall educational complex.